Big Story Books & Movies is Central Oregon’s largest used & new bookstore. Formerly known for 14 years as The Bookmark, the owners retired in early 2017 and Big Story took the baton and transformed the location on Greenwood Avenue, just blocks from downtown Bend. Big Story is owned and operated by Josh and Heidi Spencer, who are also owners of the world-renowned Last Bookstore in Los Angeles. 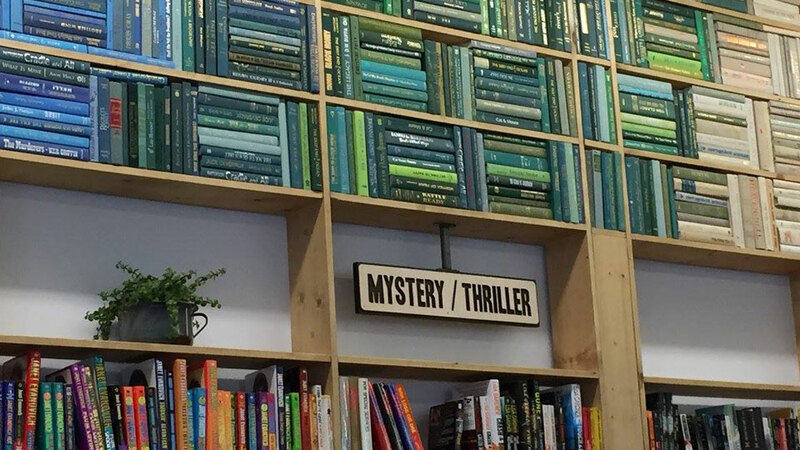 While Big Story is smaller than the Last Bookstore, visitors can expect the same attention to artistic design and a hand-picked selection of classic, popular, and uncommon books and movies for readers and film enthusiasts of all ages. Big Story buys more books than anyone in Central Oregon, from all categories, because the owners supply to their LA store as well as online. Sellers are invited to bring their used books to sell, trade or donate and are asked to remember the 7 Cs when bringing in used books: Condition, Current, Classic, Collectible, Curious, Commonly-Asked For, and Current Inventory. The selection of books, dvds and cds is constantly changing so come in and see what’s new and new to you.